Cloisterphrases, a library-focused tower fortress. Year 112, First Year of- what the hell do you want? Why would you send seven mostly-uneducated dwarfs to found a bloody library?! I see. Our Resident Idiot - the queen, they call her - has seen fit to sentence send six others and myself to... found a library. Yes, to create one with our own hands. Create and manage. "This is not a military installation", I'm told - and so we have nobody trained in self-defence. First, we have the daughter of the Razbomrek family - "Teethwhips", as the humans say. We call her "Misty". Urdim Kolkåtâk - "Wheeledscale", in the tongue of the hairless apes. I feel sorry for him - I don't know what happened, but he despises the idea of family. Myself, Sigun Akrulbim - "Tinslings". Hopefully this lot won't interrupt my daily introspections, and my love of guppies. Their colouration is just so wondrous. Olon âmvabôk - "Spokenorbs". I knew another Olon, once, named "Oilyballs"... His fascination with buckets is slightly disturbing - is he a tsurube-otoshi? Stukos Thalalid - "Empiresrock". His obsession with war seems apt, given his name. Next is the daughter of the Udizcatten family - "Presentchannel". She has some medical training, and a fascination with eating raw blood amaranth flour. The assigned leader for this ill-advised undertaking is Sazir Ebalbim - "Reveredslings". At least one among them values the pursuit of knowledge as the deeply-important thing that it is - although he is more focused on worldly knowledge than I. With that out of the way, I will tuck this journal into my pack soon - we are to leave "immediately". Apparently, this means "today". I'm told that the wagon is already prepared. We've little meat - fine with me - and several large birds, along with many vegetables. I hear much grumbling about the lack of meat. why is our symbol named "The Shafts of Holes"
"The Gold of Drilling". It is as though the very universe is conspiring to remind me of every dirty joke I've heard. This is going to be an above-ground fortress in tower form, mostly focused on the scholarly arts. 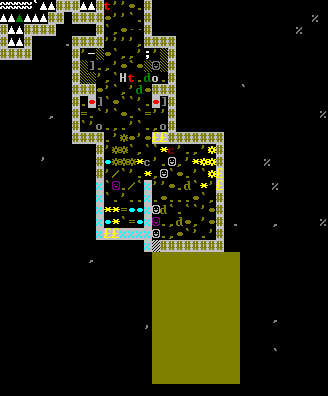 Massive library, multi-floor temples, and limited-to-no military. Dwarfing requests are accepted. Edit: Would you prefer yearly updates, or "whenever the log feels long enough" updates? Re: Cloisterphrases, a library-focused tower fortress. Could I be dwarfed during the first migrant wave, and named Imic, with allskills turned off apart from masonry and arcitecture, and a custom title of "Priest of [Insert whatever god of fortresses you have in your world]". I spy roleplaying! I would say that whenever-the-log-feels-long-enough will do, since some people might get impatiant. I don't really mind personally, I just think that people would prefer that. Snow. Snow everywhere. We were told it was cold, but this is ludicrous. Were we sent here to make a library, or to freeze to death?! Four picks, we have. Four of us take up the pick, myself included, find a stone wall below the clay, and begin cutting into it. A wide shaft we dig, before alcoves for the workspaces we will need if we are to succeed here. Thanks to there being four of us working on it, the tunnel was carved rather quickly. This hill, from what I've seen, is rife with ores and minerals. Nothing like the scarcity back in the royal halls. There's plenty of clay and sand, as well. Of course, there's also an ungodly amount of snow. The rum is the only reason I can still feel my limbs, I say. I recite this entry in the hall we have cut from the side of the tunnel - it shall be where we prepare our food, and where we dine. It is deep enough in the rock that the heat from our fires is not completely lost. Soon we shall have sleeping quarters - basic sleeping quarters, but it will be better than sleeping upon the still-cold floor of the dining hall. I can see Olon stroking the bucket he brought. I am disturbed. I shall ponder why I find this disturbing tonight. A snowstorm has arrived. To be accurate, it arrived days ago, and it shows no signs of ending. The howling of the wind accompanies gusts of frigid air that make their way into the commons room. The fact that we can still hear and feel the wind speaks for our survival, but we mustn't slack - I saw prints in the snow, and Urdim identified them as belonging to jaguar. We must make secure our lodgings, ere we are found to be fresh and delicious. Plans have been drawn for a depot, despite the harshness of this site. It is true, merchants have been known to brave places more dire than a snowy hill to make a profit. No doubt they will want extra profits should they arrive here. "Our first order of business should now be securing our food", Stukos has told us. That seems a wise decision. We shall take up the pick once more and carve a storage room. Best to get everything in from the wagon - which, itself, is now mired in the ever-changing snowbanks. We've a pair of seats and a pair of tables for dining, now, such as they are. The six nesting boxes we were given have all been claimed, and each contains a clutch of eggs from their residents. We shall dine well for a while longer with these. Thank you, oh fine feathered beasts. We need a kitchen... and we need to assemble our still! The kitchen and still are assembled, and the four of us are digging out farms and storage above. Misty and I are opening up a storage room, and I can hear Urdim and Olon exchanging dirty jokes as they dig out the mushroom farms. Digging through this loam is far easier than cutting into sandstone, but it is still tiring work - so I sit here, waiting to regain my stamina. After this, we need to expand the main storage - to organise everything from the wagons, we'll need a fair bit more space. 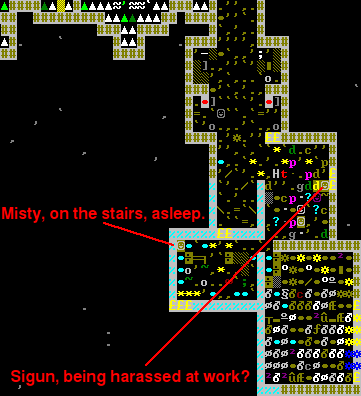 After clearing space for food storage and mushroom plots, Misty fell asleep on the stairs. I can hear her raucous snoring from here - she could wake the dead with the sounds from her nose. Misty's atrocious logging aside, Stukos has burnt what little coal we've found into coke, and is cutting mugs and pots for us to use - I shall welcome the use of a proper mug, however rubbish, over drinking straight from the barrels. Nobody here has even passing experience with carpentry. I suppose I shall take up the call of carpentry, so that we may have beds to keep us from the cold floor while we rest. By the calendar, summer has arrived. A few private boarding rooms have been made. I've managed to lash together a pair of beds, which have been placed in two of the rooms downstairs. A raising wall has been constructed at the mouth of the tunnel, which is a relief to all of us. All said, many things have been done that are relieving - beds, warmth, protection, food, drink. Sazir thinks we are ready to begin work on the foundation of our "great library". I think we're boned. Sazir needs a reminder that we've no refined metal yet. The reminder that we lack metal was met with a "reminder" to go mine some. This hill is rife with iron, and we found a vein of limonite in short order. It took several weeks, and accidentally breaking through to the outside, before the vein was fully excavated. I walked into the dining hall in time to hear Stukos finish his latest joke. "You've a cache of limonite for smelting in the tunnels below" was met with "Ye gotta git me some fuel, lass, or I ain't g'be able to smelt anything". We all have a hard few months ahead of us if we intend to get any of the tower built before old Winter, the wanker, buries us all in great mounds of white rubbish. I forgot to mention earlier that the population cap is set to 40, for a few reasons. One, an experiment to test a personal theory regarding overpopulation and objectification in humans. Two, the game's on an old laptop with limited processing power. Both biomes listed on the embark screen claim to have an aquifer - I'm not looking forward to breaching that. Hopefully the winters get cold enough - and stay that way long enough - to simply freeze my way through the accursed things. Alas, no migrants quite yet. We're in month 5, currently. I wish to be dorfed as a farmer. Your gonna need to grow a lot of pig tails. I will also ask if the biome is tundra or a very cold taiga (or one of each). Due to the need of paper making in such a great library. The aquifer might also provide water power to grind the necessary pulp. A great library means heavy investment into paper making, with supplements of cat skin scrolls. Human King: "So, how was your travel to dwarven lands?" Human Diplomat: "Never piss off the dwarves, they have an army of hydras"
Dwarf Cook: "Another baby hydra meat roast coming up!" I'd say asking about it in another thread. We were pulled from our work today - myself and Olon digging a shaft in search of coal as a great horned owl wheeled overhead - as "Doc" Udizcatten called out. "Travellers! Travellers approach!" You're sure they were headed this way? Yes, that's true. Otherwise, they'd likely be suicidal fools- PAHAH, who am I kidding? They probably got lost. Yes, we'll be finishing a few extra rooms. That was a ludicrous meeting over a dwarf(or dwarfs) that likely didn't even see us. We'll be heading out to lead them into the halls, of course - they likely need a good mug of ale after... whatever journey they faced. I, however, am heading back to the mines with Olon to finish the exploratory shaft. As I sit here eating a meal of biscuits, I notice that there are quite a few new arrivals - presumably, they are the lot that "Doc" saw cresting the western hills. Introductions have been exchanged, so now I record what I have seen. Fikod, of the Konosbakust family - that is, "Brassurge". She spoke mostly of dingoes, and of how she'd love to have a sterling silver statue of dingoes. We all have our obsessions, I suppose. Somewhat striking is her lack of a left arm. She's been tentatively given gem-cutting and gem-setting duties. In the meantime, she can still help us get things settled in their proper places. Feb ôsustber - "Tameearths", in the common human tongue. She seems obsessed with war and destruction, preventing peace. It was when she stated outright that she has no respect for peace and harmonious existence that I decided to feign illness merely to shut her up. Before that, however, I learned that she quite likes aluminum and chrysoprase - and seems to have quite the towering greed. She's been assigned to clothier duty. The son of the Medenletmos family, calling himself "Imic" - an unusual name, to be sure, but workable. He seems, on the surface, a cold fellow, but it is clear that he is merely trying to conceal his emotions. His fear of fire snakes knows no bounds. He did let slip his affinity for nickel silver - and, with his gargantuan ego, likely thinks it a matter of course that we will all provide such for him. He has taken over as mason, freeing Stukos for forge work. He, surprisingly, is married to Feb. They've brought their child, Datan, who is an annoying little daemon bent on telling every lie she can. Kulet, of the Udillaltur clan. Apparently their name is "Lanterncovered" in the language of humans. We spoke of rose gold and anvils before he began prattling about how "worthless" introspection is - and how those who spend even a moment on it must be "fools". I quickly bade him luck and moved on to the next newcomer. The son of the Oliliden clan - that being "Valleypaddled" in the words of the hairless apes. He introduced himself as "Ironfang" - quite an odd name. Apparently he is married to Fikod, arriving here together - along with their two offspring. This is not a bloody childcare centre! Aban has no skills to speak of, save for passing familiarity with basic fighting techniques. He has an admiration for mail shirts - perhaps he'll be trained to fight. I do not envy him that. Their children, Adil and Lokum, are seven and two years. This talk of names has reminded me of something I found early in my readings. Alas, I cannot seem to recall it. The rest of Malachite passed uneventfully. We still need coal to bootstrap our metalworking industry, and we have yet to find any. We did, however, locate water-laden stone immediately below our mining shafts. Urdim has an idea on how to safely break through, involving liberal use of pumps and overpressure. Personally, I think it best to simply wait for the bloody thing to freeze - much safer, despite the bite of the cold air. Speaking of cold air, a snowstorm has suddenly hit us - early in Galena! Blasts of snow pelt anyone who ventures near the entrance as the cold wind saps what heat we had. Ludicrous snowstorm and drown-rock aside, we have dug up quite a few gems. None of especial note, but the mines hold promise of further finds. I, for one, am hoping for plume agates. Wondrous little gems they are. I was in the dining hall, enjoying some rest before working on additional wheelbarrows, when Sazir's voice cut through from the kitchen - "We're out of bloody pots?!" Hopefully "Imic" can carve some pots before the brewery plants are devoured by vermin. We're nearing the end of Galena, now. That's nice to see, although it is unlikely to last. Autumn has arrived, or so claims the calendar. The air has again become quite cold, but that only registered after the four of us finished digging the extra storage rooms and returned to the dining hall. Another thing that suddenly registered in my mind at that time was the addition of a lever jutting from the ground near the western wall. Apparently Urdim installed it there. He claims that a single pull of the lever will block the entrance tunnel entirely. The caravan we were promised arrived, hailing itself by horn a scant few moments ago. Surprisingly, Fikod is the liaison's child. She seems oddly unenthusiastic about Bomrek's - that's the liaison - arrival. While we were entertaining the caravan, Sazir spotted more people headed in this direction from the valleys to the northwest. They hailed themselves as migratory labourers. One, Kib Shemokil, has skill in... gutting fish. That's all, as far as trades go. Apparently, he was quite the negotiator back in his home hillock. He'll likely be given whatever spare tasks are lying around. I, for one, am pleased to see that he is another who sees the value of examining one's self. He claims to have a fondness for pig tail goods - fabric and paper - as well as gold. Right proper librarian, he is. Ustuth Etescilob. There's not much to be said about him. Aside from seeing knowledge as somewhat unimportant, he's the average dwarf. He does have a good intellect despite this, perhaps making up for what he claims is a "very bad" intuition. He has a fondness for pink, shields, aquamarine, and tables. Thankfully, he has an active sense of humour, matching his slow and leisurely movements. He has experience with blacksmithing, so he has been assigned to that duty in place of Stukos. She has no experience with any trades - I imagine she's been too busy slowly waddling around while bloated with the results of incessant stupidity. Interestingly, "Ironfang" is one of her far too damn many children. I can only assume that her repeated reproduction is related to her lack of patience - and perhaps to her affinity for lignite and lead. Rîsen Astróth is a daughter of Tobul and Ustuth. She has some surprising wisdom for someone who has yet not been allowed to "leave the nest". Zaneg Melbilrinal, another son of Tobul and Ustuth. His name is "Tomeivy" in the human-centric tongue. He's quite the annoying little sprog, with no compunctions against cheating others. Any and all would do well to be wary of him. Ustuth came bearing a letter. As I understand, it gave detailed instructions on the construction we are to undertake. "Library" is not good enough for our idiot queen, and we were already forbidden from building it underground. We're to use specific materials... Steel walls on the lower four floors, Sazir has told me. I stopped him there - steel will take us some time, especially when making a structure of this scale. I must get back to the caravan - we are still preparing what they have requested in "trade" for necessary supplies. Edit 2: Ironfang, you've been given the Grower labour - I assume that this is what you meant by "farmer". To be honest, your post was a bit difficult to decipher... I gathered that you wanted a farmer, and that you want to know if we're on a tundra/taiga biome. 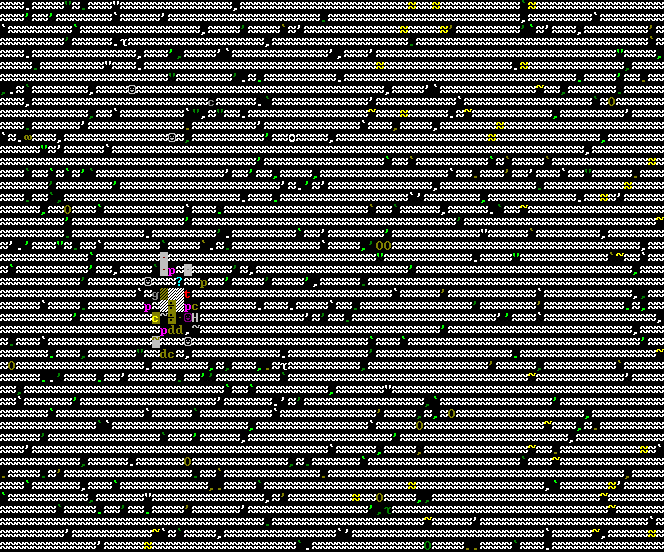 To the latter, I'm not sure - I don't recall what biomes were listed on the embark screen. Is there a way to check the biomes from in-game? I do have dfhack(love the job duplication, and the DT-like labour manager). Edit 3: I can say that this is not tundra - the snow mostly melts during summer, there have been aboveground plants, there are trees, and the terrain is full of hills. The valley in the northwest is rather deep - so deep, apparently, that it completely bypasses the drown-rock. Urdim went to check the soil and stone, and, finding it to be dry, carved an exploratory tunnel toward the halls. A few staircase attempts later, we found a way around the drown-rock. Now we can safely dig much deeper - assuming we do not encounter further deposits of the water-cursed rock and soil. Upon my arrival at the valley tunnels, I discovered that the soil there is, in fact, fire clay. This is a great boon to us, especially when considering that one of the immigrants has skill with working pottery. Apparently negotiations with the caravan are complete. Sazir told us that he secured cloth, a bar of silver, extra pig tail seeds, an extra bag of sand, two additional picks, a bar of steel, and a spare splint. I'm not sure what possessed him to get such a strange selection of items, but perhaps the selection was partly up to the caravan. I'm not one for these silly political games. Ah. I heard Sazir in the kitchen just now. "I need a stiff drink", he said. I suppose things are difficult for him, as well. I'm in the lower mines. We've found quite a selection of things. Magnetite, limonite, native copper... hematite. Gemstone clusters, sandstone. No sign of coal, no sign of lignite. Shockingly, native gold and native platinum. There is quite a commotion in the dining hall at the moment due to Imic suddenly bolting up from his seat and promptly barricading himself in the masonry alcove without so much as a word. That was a few moments ago, and he took a chunk of saltpeter in there with him - along with two chunks of our limonite! Apparently, he is currently sketching pictures of what appear to be... stacks of cloth? We have both wool and pig tail cloth, so his behaviour is confounding. When we took bolts of cloth to him, he simply shoved them aside as though they were in the way. I, for one, have no idea what he is doing or what he wants. Olon is erecting a rudimentary loom with the goal of weaving some of our silk into cloth. I'd say he's wasting his effort, but we'll want it woven later regardless. Of course, a moment after reciting that entry, Imic slipped past the dining hall and up the stairs to the loom, having unnatural quiet for the speed at which he was moving. Ah, there he is again... Surprisingly, he is holding a bolt of silk cloth. Out of curiosity, I went to check on Imic, but he has completely blocked both himself and the workspace from view. I suppose we have little choice but to wait for him to emerge - Sazir has advised us to not bother someone in such a state. A few days after locking himself away in the masonry alcove, Imic emerged from the masonry alcove - which was now in great disarry - with a sublime millstone made of saltpeter. He seems to have discarded most of the limonite which he took. This is a saltpeter millstone. All craftsdwarfship is of the highest quality. It is encrusted with oval limonite cabochons and encircled with bands of cave spider silk. This object is adorned with hanging rings of limonite. On the item is an image of two smooth pebbles in saltpeter. It is almost the year's end. I was in dining hall during the first test of the Passive Overland Defence System. Doc pulled the lever, and a loud grinding noise brought with it a cessation of the wind from outside as the great wall raised into place across the tunnel's mouth. I'm considering making this a succession game, after the tower is started and secured. Right now, we're at night of the third day the tail of winter of the first year. If there's enough call/interest for it, I'll do that. A strange group hailed themselves by horn today. They're not dwarfs - they stand too tall. They have with them no wagons, but a pair of pack creatures heavily loaded with many things. I know not how they found us nor how they knew we were here, but the question of what they are is of greater importance. Sazir told us to bring things down from storage. He thinks that these creatures are here to trade with us. The strange, tall creatures arrived at our depot today. They informed us, in the common tongue, of a desire to trade. We have hauled many well-made pieces of sandstone furniture to the depot yesterday and today, and Sazir is attempting to negotiate with these newcomers. Still I wonder how he knew of them. I heard Sazir grumbling to himself about "useless leafy bastards". Apparently little was obtained and little was traded. I noticed, in storage, several masterfully-made doors. Apparently Imic has mastered the art of door-making. We are sent to expand the stone stockpile and then dig out the marble we located in the lower mines. Was eating a *duck egg biscuit* when Fikod bolted up from the mines, quiet as a leaf, and started quickly, but silently, rearranging the workshop alcove for small crafts. She's behaving much as Imic did before creating that millstone. Fikod, after barricading the workshop, grabbed two nearby chunks of sandstone and completely shut herself in. I wonder what will come of this. The stone stockpile has been expanded to five-by-ten paces. We go now to take our bounty of marble. I hear Fikod created an earring. There's no trace of the extra stone, just as with Imic's creation. Apparently, Sazir was informed that these... "elves", as he calls them, will be departing soon. Should they come again, I hope that they bring better goods - Sazir had murder in his eyes when he spoke of them. The elves have packed up and left, all the while grumbling loudly about our use of wood. I'm not sure what rotten brews they've been drinking - the only wood in use here is for beds, some bins, and a few barrels. We finished digging out a second storeroom for stone, amidst Olon's "I'll show you sandstone" jokes and Misty's grumbling. Upon returning to the common hall, I was greeted with the sight of a new quern and an odd contraption that Urdim calls a "screw press". Apparently, these will be necessary for the production of paper. 1st of Hematite, 113. That means that summer is upon us. Production of pig iron began early last month, so we may be able to safely begin construction of the Tower of Cloisterphrases this year. The human caravan that hailed itself yesterday has arrived and unloaded. 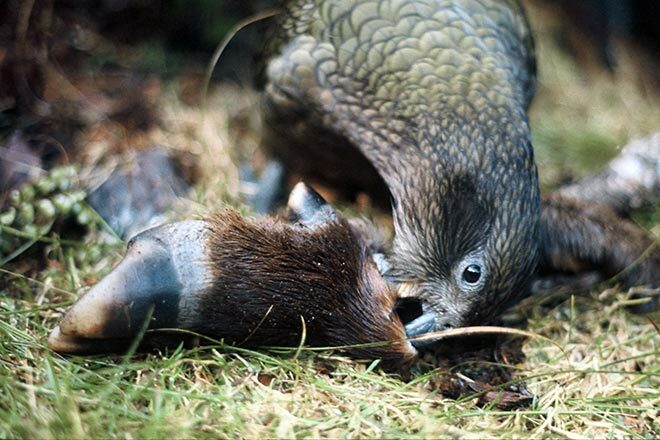 I suppose we shall be entertaining these large guests for a few days yet. I long to bring my pick down upon rock again, despite the lull in digging being only a few days. I didn't notice the eight new faces until today, yet here they are. Sazir says they arrived three months ago. Three months! That must have been an especially good batch of bayberry wine for me to overlook eight new faces for three bloody months. That aside, I decided to finally meet them - assuming, of course, that I didn't already meet them. Eshtân Keskalvel. Apparently has a talent for using the screw presses Urdim has been making. She seems a chaotic sort, but not the type to seek it out. Apathetic toward art, despite celebrating artisans along with the rest of us. She's an odd one. Her interests are a bit less odd: Gold, black pyropes, coral... and rock salt. Oddities aside, she's a fellow worshipper of Rîsen - that's Rîsen the Cobalt Irons. Next there's Edëm Vodkûbuk. A farmer, apparently. He claims to have some adequate experience with bookbinding as well. Greedy and narcissistic streaks aside, he seems quite the agreeable fellow - to me, at least, despite his lack of thought regarding knowledge. Atîs Tureltirist, or "Learnrim". There's not much to say about her, aside from her enjoyment of working outside. A hidden strange one, she is, with no practical skills. Aban Solozdastot. "Worshippedswords". Sees both merrymaking and self-examination as a "waste". I'm not sure what happened to her, if anything. Claims to like "octopus tooth". Octopi... have beaks... She does seem to enjoy a good cow cheese. Good taste in food, despite detesting hamsters. I will admit that her mannerisms are strangely stiff - she has an excessive concern over "politeness". Feels strange for someone accustomed to ripping the innards out of fish. Ézum Lisedzon is next. Another worshipper of Rîsen, as well as of Savot - that's the Torch of Leaping. Sadly, he is another to detest hamsters. He has some minor experience with woodcrafting, and with designing and constructing siege engines. Mûthkat Akrulåm - Tinyawned. Dyer, Asher, Gelder. A rather strange and disconcerting combination of skills. Yet another worshipper of Rîsen! Perhaps we'll see a temple authorised soon. She's rather pessimistic, but that seems understandable, given the situation out here. She seems to have a general enjoyment of the concept of containers. Backpacks, boxes, bags... Hates moon snails. We spoke of platinum and of papaya wine - her eyes lit up when she heard that we'd struck native platinum. Momuz Afenubbul, who claims to be "quite adequate" at making soap. Now that I think of it, we've been so busy scrambling to meet the idiot queen's mandate of a tower that we've neglected such things. She, understandably, was rather taken aback, and immediately went to speak with Sazir. Finally, Erush Othbemrimtar. Skill as a surgeon, but far more as a farmer - according to Ironfang, Erush is more adept than he. I'm sure he'll welcome the help - with this, we can expand our farms. Personally, I'm quite worried... She's quite taken with war and disturbances on every scale. Even Sazir seems worried. That was quite the bumpy ride. Into the pack with you, now, while I get a good mug of rye beer. I have been told to make training equipment - fake shields and spears, and Atîs is to take a set. Rîsen help us, the idiocy begins.